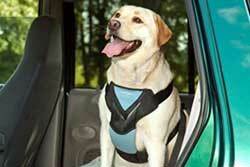 travel with your pet! 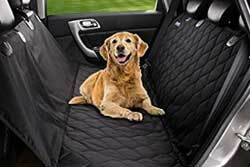 Pet Friendly Jacksonville! 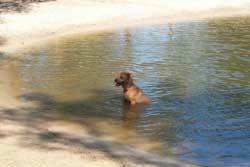 We research great places to go with your dogs in Jacksonville!Please see our pet parks interactive map. 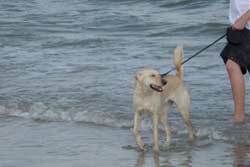 Jacksonville Beach Dogs allowed year round before 9am and after 5pm. 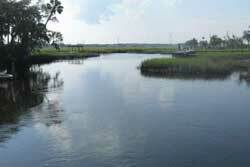 On-leash park and 1.5 mile public beach in the Mayport area of Jacksonville Beach. On-leash park. There is a small entrance fee. There is a $1 entry fee before 10am, and it is $3 after, open dusk-dawn all year. This park has a newly renovated splash park, 2 playgrounds, kayak and paddle boat rentals, fishing accommodations, shaded campground areas, bike trails, hiking trails, shaded picnic areas, fresh water lake, and full access to 1 1/2 miles of white sandy beach on the Atlantic Ocean! 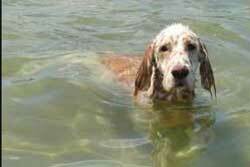 A fenced in swim and play park, full agility course and shop with treats. 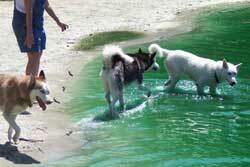 Dog Wood Park is a 42-acre swim and play park for people and their dogs (over 25 acres are currently fenced) located in Jacksonville, FL! The park is one of the country's largest completely fenced dog parks — a true heaven on earth for dogs! *Park Members have access everyday and all day! This park is associated with the Poochies day care, there is a membership fee of $35 per month, but they offer a trial fee for the first day of $5. Vaccination records must be brought to the office. 144 acre park that was formerly Dunes Golf course; the park has fields for sports, disc golf with tournaments and weekly events, walking trail, community center, playground, and picnic areas. 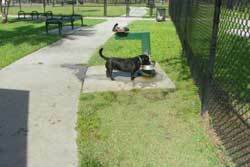 City park with shade, benches, rinse stations, and areas for small, medium, and large dogs. 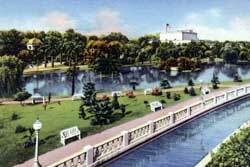 Confederate Park is located near downtown, in the Springfield area of north Jacksonville. First named Dignan Park, for a chairman of the Board of Public Works, it opened in 1907 and contained the City’s first supervised playground. 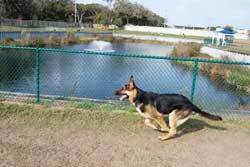 Off-leash dog park with a large and small dog area, watering bowls, benches, and an educational bulletin board. A veterinary facility that includes a beautiful 9-acre off-leash dog park with wooded hillsides, agility course, doggie swimming pools, and more. Membership required. 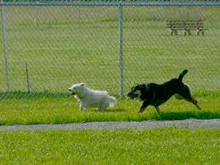 This dog park includes Hopkins Creek retention pond and rinse station, supported by Atlantic Beach Dog Park Committee, there is a $50 annual fee. This park is new! You must submit an application to use the park, applications accepted at city hall, $50 fee for the first dog, $25 for each additional dog.